Sadly there is definitely a point when an antique garment is simply too old and fragile to wear. But how can you care for historical costumes in your collection regardless of whether you wear them or store them for future generations? Interestingly the most important step to caring for historical costumes is at the antique market or Ebay listing. Sometimes a damaged garment is simply not worth your time and money on. It’s easy to be tempted by low prices for an item over a century old but the fact remains that the world is a graveyard for these insignificant pieces handed from owner to owner with no one gaining much pleasure from them. Even online in Ebay’s amazing pre-1890s category it is not too difficult to assess the condition of a garment from a photograph. Fortuntely the trick here is all in the seams as pre-synthetic cotton threads generally deteriorate before the rest of the fabric. That could mean you really could restore a garment to wearable condition with little difficulty. But if the edges are fraying or the fabric simply perishing then little can be done. You might convince yourself something is worth buying to copy its pattern, which is a valid point, but again old and deteriorated garments require care and attention and may not even be that cheap. Remember that in the UK the market interest in these pieces is competitive while in the US old barns reveal plenty of pre-1900 pieces that can be snapped up at a fraction of the cost. Ultimately value for money can only really come from getting something that’s special for you and wearable without needing lots of commitment on your part. Having said that, definitely consider when buying a museum-quality piece if you have the space, means and equipment to look after it. While hanging on a market stand or travelling a postage route in a tight parcel may not seem ideal situations for delicate clothing to be in these represent very brief periods in the garment’s long life. 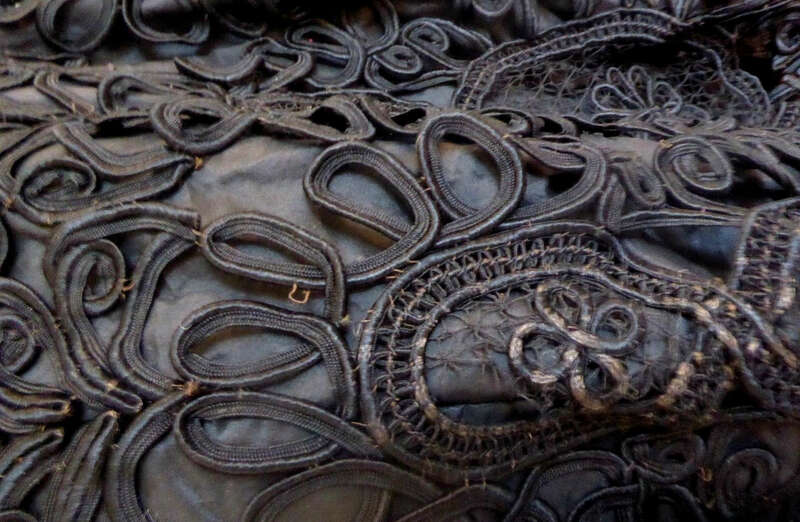 The Victoria and Albert Museum says the best way to store textiles is to lie them flat in a box or drawer using acid-free tissue to cover them and limit folding as much as possible. If necessary follow the lines already in place like seam lines and use pads or sausages of acid-free tissue to soften folds and to support areas such as sleeves and shoulders. 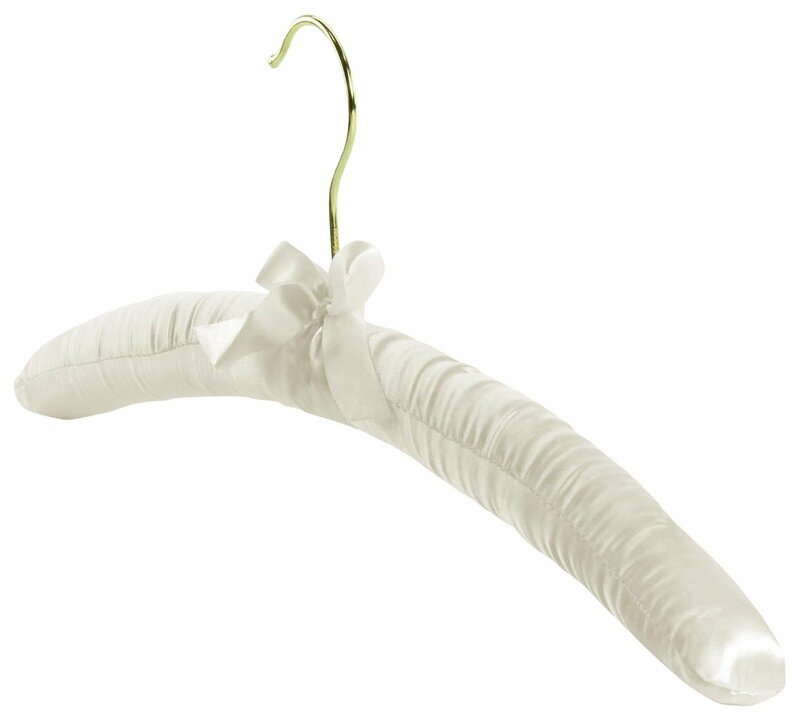 An outfit in good condition can still be hung but its a good idea to pad the hangers to spread the weight and definitely avoid wire hangers as these focus the weight in one place. Heavy pieces need to have as much weight taken off them as possible so storing flat or spreading the weight over other hangers is recommended. This is the most difficult part. It is a really difficult choice to decide whether or not to wear an antique garment. It’s extremely rare to find a piece that won’t deteriorate even slightly just from being worn. Every times you wear an item of any age you damage it just a little bit, even with our modern clothes. Then there is the idea of wearing something just once or ‘for special occasions’ and then storing it properly. This certainly has a logic and maximises both the enjoyment and preservation of a garment. The main issue is just what counts as a special occasion – often affairs when spills and stains are most likely. Ideally you want as little of the piece to touch your skin as possible and so wearing underclothes is important. While there are ways of cleaning antique pieces you should really rule these out as they greatly affect the lifetime of the piece – ideally don’t venture further than a light spritz of vodka. Deciding to wear an item and regard it as your own rather than kept for posterity also allows you to make alterations and personalise the piece. This will upset purists but add tothe history of the garment, making you more an owner than a steward. Putting on antique clothing is when it is usually under the most pressure. Take care to support its weight and get someone to help you if you can. Once it is on you are a living mannequin that roughly conforms to the shape the garment wants to be so you just need to avoid excessive tugging when taking it on and off. Sadly it is usually at this stage that your guess as to if its wearable is proved right or wrong. Buy a piece that’s in the best condition you can afford. It saves you a whole lot of hassle from the minute you get it home. Is antique clothing really the right path for you? Why not find a high quality reproduction like these, or an ex-stage costume like these. If you do brave it then make a proper way to store the garment. Consider if it is better hung up or laid flat with acid-free tissue paper. Decide whether it will be worn once, occasionally, regularly or kept purely as a beautiful collection item. Remember that if a dress demands certain undergarments it was designed to be worn over then you should wear those too. If you’re a goth then you’re in luck! Mourningwear has survived much better than its everyday counterparts that were worn to death. Are These the Cutest Shoes You've Ever Seen?